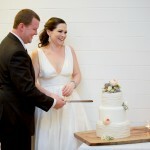 Eva and Mathew were married at Rainbow Beach in November last year. With their wedding reception held at Rainbow Shores, the newlyweds celebrated their love with family and friends. It is always a pleasure to deliver to Rainbow Shores, as Amy and her team never fail to impress. Their gorgeous reception decorations, whether simple or elaborate, are always different, and always beautiful. I was delighted to hear from Eva and Mathew after their wedding, and so pleased to hear that they had a magical day! 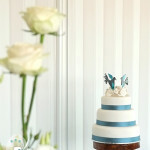 Their cutting cake was decorated with blue ombre hearts – graduating from dark blue on the bottom, to ivory on the top. 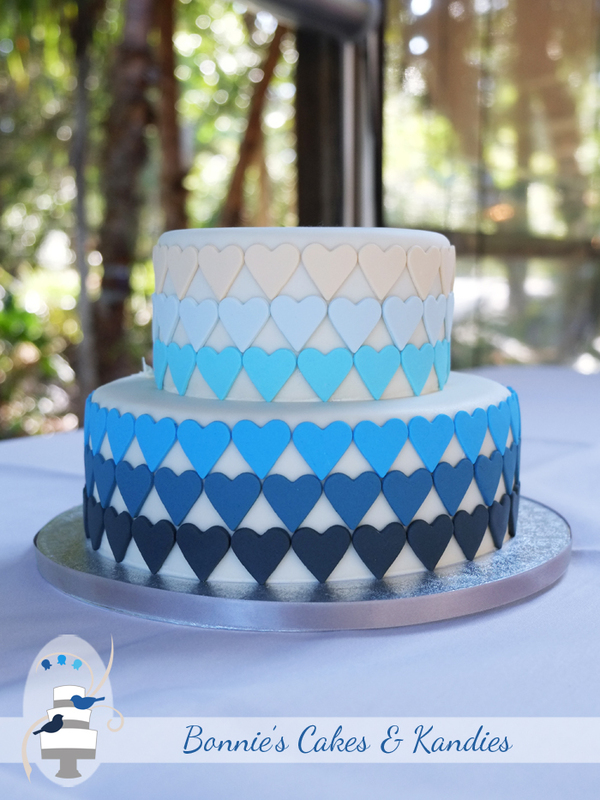 I adored the pattern, how perfectly the hearts fitted together, and the contrast of the ombre hearts with the negative space where the cake covering shows through. In love. 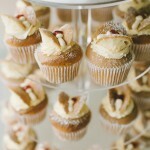 Of course, it’s not all about the look! Let’s talk taste! 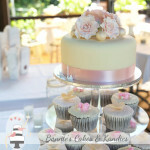 The top tier of the cutting cake was lime and coconut cake – a real favourite with its refreshing, light zesty flavour. 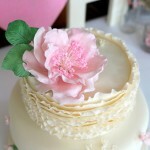 The bottom tier was made in dark chocolate mud cake – another very popular choice for wedding cakes. 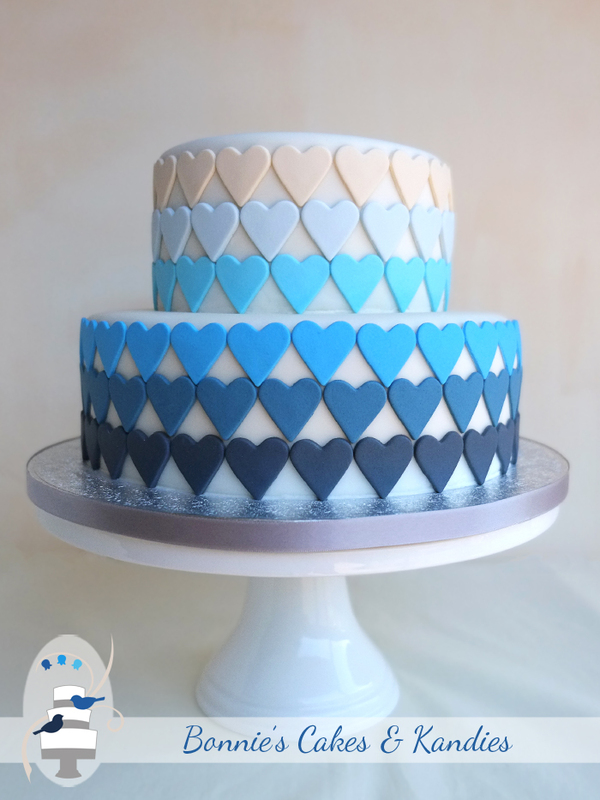 My handmade white chocolate fondant provided both a delicious covering for the cake, and a tasty canvas for the ombre hearts. 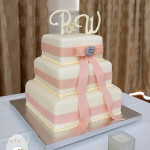 I also supplied Eva and Mathew with a kitchen cake made in white chocolate mud cake, and covered with white chocolate buttercream. To Eva and Mathew – may all of your days be magical.